The desire to learn is what makes you, our dear readers, being successful entrepreneurs. Keeping that in mind, we continue our exciting and educational series of interviews with online retail experts. 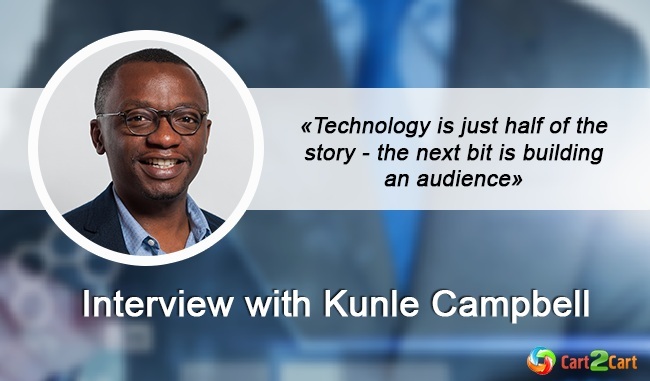 Today our guest is Kunle T Campbell, e-Commerce Growth Consultant, e-Commerce Business Advisor and a 2x eCommerce Podcast host. Kunle is specialised on helping online retailers to drive growth and profitability by formulating effective customer acquisition and retention business strategies. 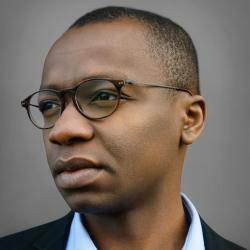 Q: Kunle, how did you get into eCommerce? What was that made you interested in world of online retail? I got into digital marketing the boring way - it was my MSc degree electronic business management. I feel in love with a particular module about online marketing. This was back in 2004 - fast forward to 2013, having worked with several businesses in both the B2B and B2C space, I decided to focus on online retail because of the ability to track the entire sales funnel and also because most ecommerce entrepreneurs or ecommerce managers are digitally savvy. Q: Let’s imagine that one of our readers, an owner of a mid-sized eCommerce store, decides to use your service. Could you tell us, what a typical client engagement looks like? I tend to work with mid-tier ecommerce business i.e. businesses with a turnover between £5m-£50m / US$7.5m-$75m and funded start-ups. I am most interested in growing sales of ecommerce or online retail businesses. I work in all three areas - I typically take 10,000 foot view of the sales funnel and address which is the 3 areas is likely to yield the highest immediate impact. Sometimes, a store does not need more traffic - it just needs to convert its existing traffic better. In other cases, the store may need more quality traffic to make an impact. Retention is equally very important because according to a Harvard University study, a 5% increase in customer retention can increase profits by between 25% and 125%. Q: From your experience, which is the most SEO-friendly ecommerce platform? At the mid-tier level, Magento Community and Enterprise edition stand out for me. The thing to get right with SEO is understanding that from Google’s ‘official' standpoint, SEO really is only technical SEO. Which can be viewed as Google’s recommended technical compliance guidelines to make it better understand your site. Most ecommerce platforms do not adhere to these requirements out of the box. Its their 3rd-party plugin vendors that study Google's SEO requirements and then provide these enhancements to meet compliance. Magento as an open source platform has a significantly sizeable developer plugin development community that will always cater to Google’s requirements. Q: Does it seem to you to be crucially important to have a blog integrated within an e-store? I would think so - in this day and age, integrating a publishing platform is a must. Technology is just half of the story - the next bit is building an audience. Q: What are your top three tips for increasing conversions? Q: What would be your basic recommendations for those, who’ve just performed a platform switch and trying to take care of SEO? To what they should pay attention in the first place? Wow - great question as this borders around SEO migration. Key first point to note is that you should imagine you are trying to make a house move (probably to a bigger or better home) and you don’t want to break anything! So the first thing to do is to take a full crawl of your existing site that will include title, meta tags, canonical links, etc.Every single page should be accounted for on the new platform either the exact URLs (if you are not changing the architecture) OR through redirects to the new destination URLs. Indexation is equally important - ensure that both your old and new XML sitemaps are as exhaustive as possible. Haha - the 2X eCommerce podcast has moved from a twice a month format to a weekly show that comes on air every Friday. I don’t think I’d be moving to video anytime soon, the audio only podcast would do just fine! Cart2Cart Team is sincerely grateful to Kunle Campbell for his time and valuable tips he shared with us! We wish him luck in what he does, new achievements and many successful clients! Thank you, Kunle! If you have any questions to our today’s interviewee, feel free to ask anything you’d like in the comments below.